my shiny objects: New Designs! Please help me welcome a few new designs to my hand stamped personalized collection. I hope you all enjoy them as much as I do. As always, I welcome new ideas and custom requests! Don't forget that my holiday deadline is November 22nd. Think ahead and enjoy this holiday season even more by doing some early shopping! 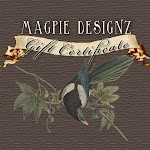 Visit my website to browse my new designs!